Got a lot of paint and no idea how to store it? 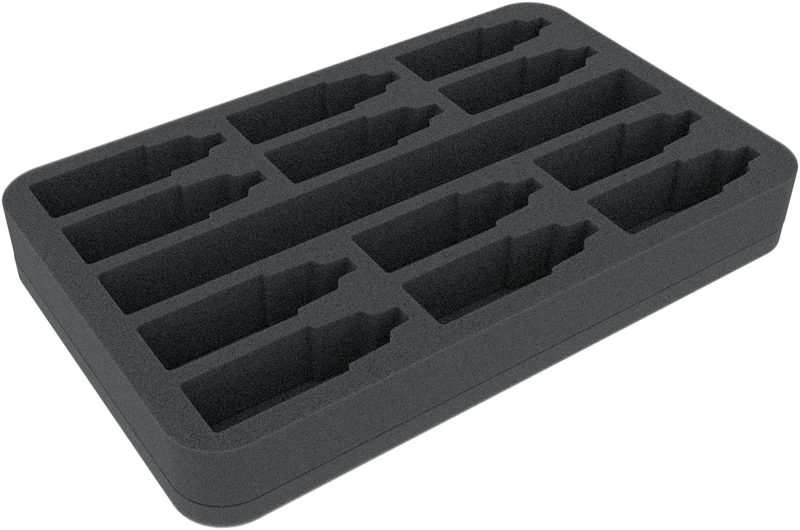 In our tailor-made foam tray, of course! 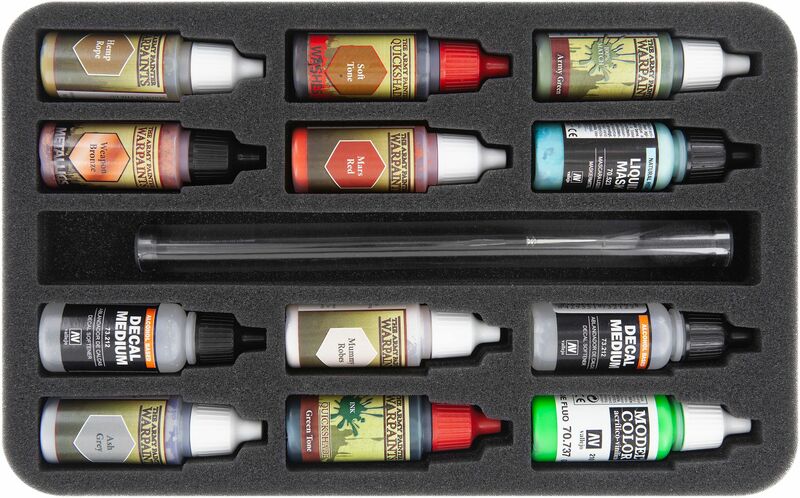 In addition to the 12 color bottles, the tray will hold several paintbrushes, e.g. up to four Windsor & Newton brushes in tubes. You are thus splendidly organized and everything you need for your next masterpiece is always within your reach. 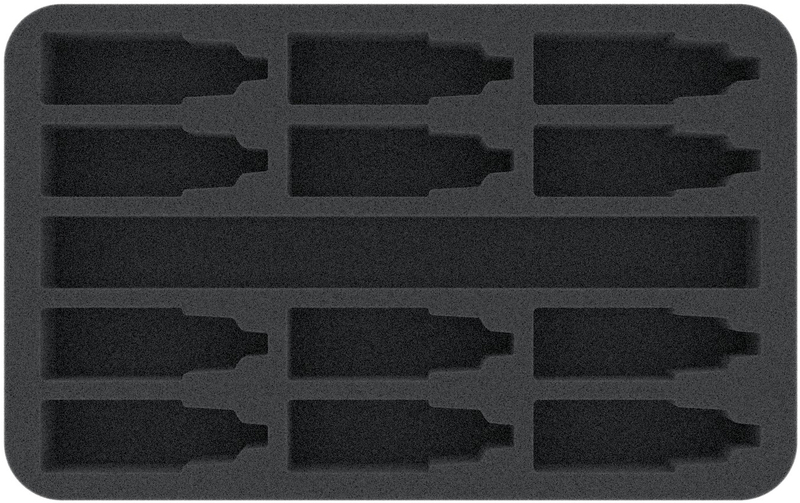 The tray is designed for Vallejo- or Army Painter Standard bottles, but will hold same-sized bottles of other brands, as well.